Horch’s first eight-cylinder model went on sale in 1926. In 1931, their largest straight-eight was introduced, displacing 4.9-liters. The 780 B was the ultimate version of this series, produced between 1932 and 1935. That engine put out 100 horsepower, which made the car good for 77 mph – the fastest eight-cylinder Horch produced up to that time (the 4.9-liter engine would return in 1937 for the legendary 853 series). This particular example was bodied by Gläser of Dresden and it’s very attractive. During or after WWII, this car ended up in Belarus, of all places, and it didn’t return to Germany until 2005 when it was finally restored after untold decades in a barn. 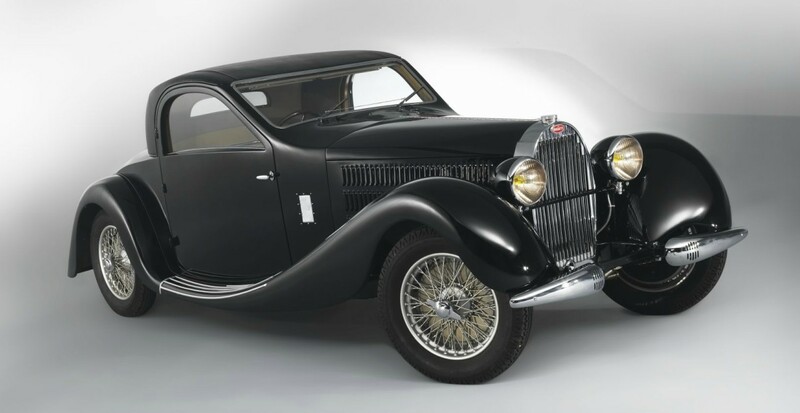 The 780 B is one of the rarer Horch models, with only 82 built. While the 853/853A is among the most sought-after models, they tend to appear for sale more often than the likes of this. 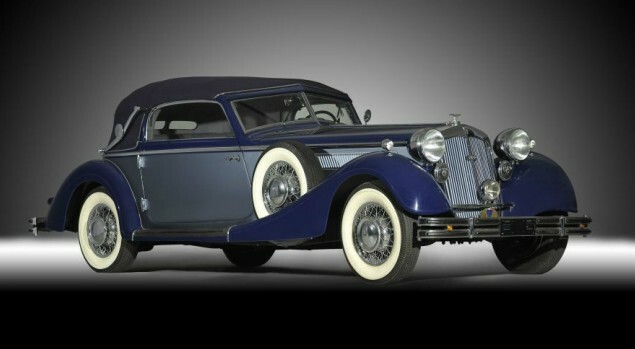 It’s price reflects its rarity as this car carries a pre-sale estimate of $680,000-$1,000,000. Click here for more info and here for more from this sale. 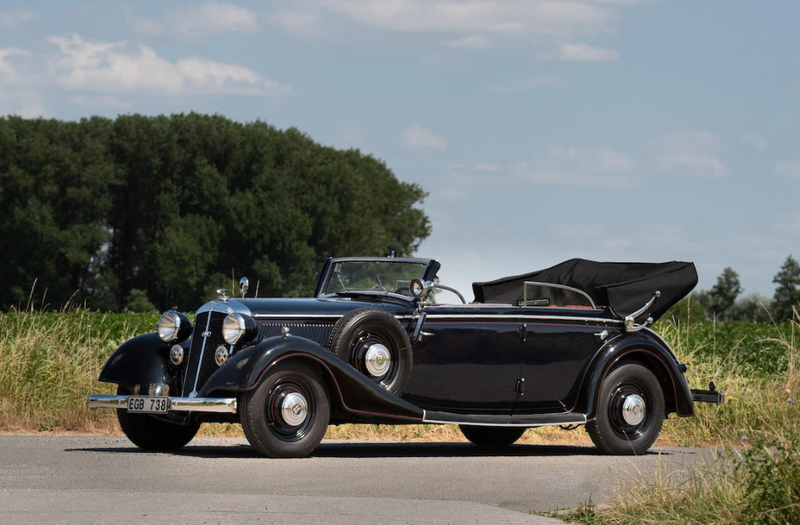 The 853 is the grandest car that August Horch’s company ever produced. It was also one of the last models that the original, pre-war, Horch marque produced – even though they had already become a part of Auto Union five years prior to this car’s introduction in 1937. The 853 is powered by a 4.9-liter straight-eight making 100 horsepower. They weren’t the most powerful or fastest cars of their day, but with the right coachwork, they could compete, beauty-wise, with the likes of the Mercedes-Benz 500/540K. This car sports a very fancy streamlined coupe body – a style that is not seen often. But that’s partly because Horch cars aren’t seen that often to begin with. This car spent its post-war life in Belarus and the Ukraine until 2005 when it was restored in Germany. 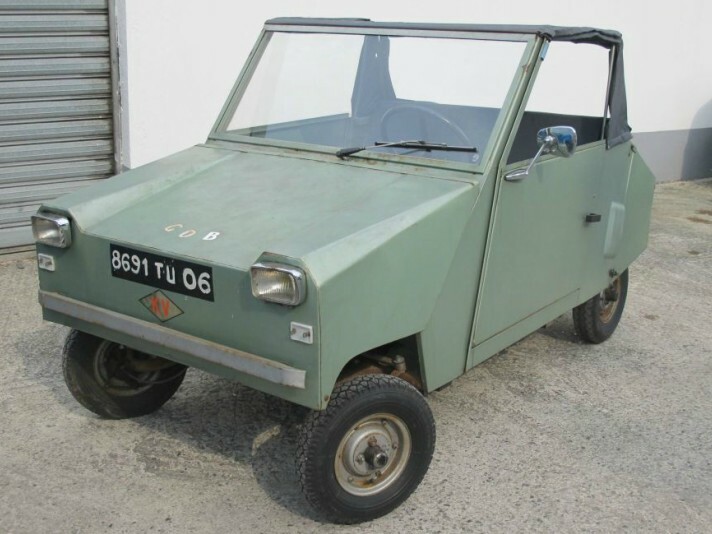 It is likely to be one of those rare European cars that makes waves at Pebble Beach sometime in the future and everyone will wonder where it came from and where it has been hiding all these years. Well here’s your chance to grab it – for a cost between $670,000-$1,000,000. Click here for more info and here for more from this sale. Update II: Not sold, Bonhams Paris, September 2017. Artcurial held a relatively large sale in Paris on Monday and we featured a couple of cars from it. 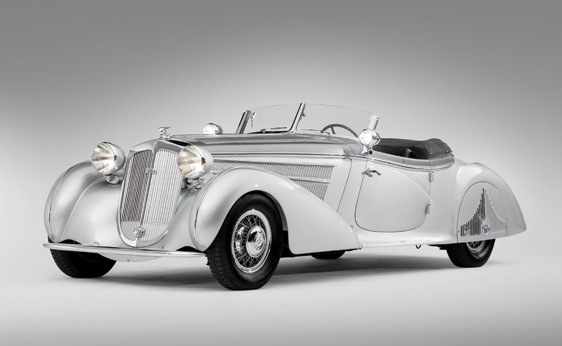 The top sale was this 1939 Horch 853A Cabriolet for $873,553. Other interesting sales included this 1948 Lea-Francis 14HP Roadster. It sold for $49,042. One of our featured cars was an incredible military vehicle – a barn find condition World War I Nash Quad. It sold for $21,456. 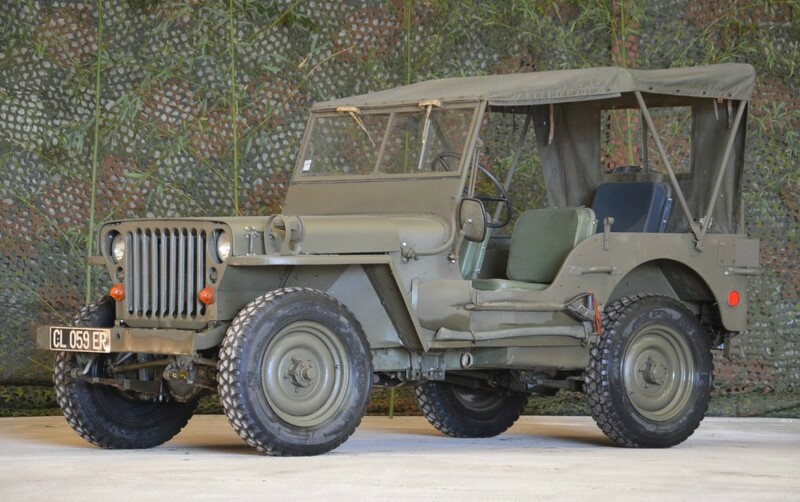 There were other military vehicles here as well, including this 1964 Hotchkiss M201 which sold for $15,325. There were a number of really nice, pretty French cars at this sale as well, including a trio of Bugattis, highlighted by this 1935 Type 57 Gangloff Coupe. It sold for $712,635. And our featured Renault Nervastella sold for $324,844 – almost three times its original estimate. Check out complete results here. All of December’s big auctions happened early in the month. The very first one occurred on December 1st in North Palm Beach, Florida. It was the sale of John Staluppi’s “Cars of Dreams” Museum. Every car sold at no reserve and the top sale was actually a giant carousel – but the top selling car was this 1956 Cadillac Series 62 Convertible. For complete results, click here. Next up was Bonhams sale at Mercedes-Benz World Brooklands in Weybridge. The top sale was this 1931 Invicta 4.25-litre S-Type Low-Chassis Tourer for $750,000. Our featured Pagani Zonda failed to sell. Our featured SS 100 was the fourth highest-selling car at $402,800. The Fiat 1500 with beautiful cabriolet Ghia coachwork sold for $128,600. And our final feature car, the 1904 Winton, sold for $218,800. Other interesting cars included an early 1913 Austin 10hp Coquette for $44,444. There was also this 1924 Frazer-Nash 1.5-Litre Super Sports Roadster for $107,000. And finally, one for the weird, this 1963 Hillman Imp “Flatmobile.” It is the World’s Lowest Car. It was one of a handful of weird one-offs in this sale. It’s only 19 inches high… and would be one of the last vehicles I would ever want to ride in. It sold for $15,700. For complete results, click here. H&H’s December 5th sale at Newbury Racecourse had this 1965 Aston Martin DB5 as its top sale. It went for $431,000. Our featured Allard P2 Safari failed to sell. The second-highest selling car was this 1925 Vauxhall 30/98 OE-Type Tourer. It sold for $287,000. Then there was this 1980 MG B Roadster that was styled by Aston Martin. It’s one-of-a-kind and was sold for $17,900. For complete results, click here. Mecum’s December Kansas City auction had quite a number of cars cross the block. The only one we featured, a Mark II Sunbeam Tiger failed to sell. A car we featured from when it was for sale in St. Louis, a Vespa 400, sold at this sale for $22,500, $9,000 less than the asking price at the dealership. Top sale was a 2012 Chevrolet Camaro COPO factory drag car for $140,000. Actually, it was co-top sale. The other $140,000 sale was this pretty awesome 1970 Ford Mustang Mach I Twister Edition. It is one of only 48 made. Another cool muscle car was this awesome-in-green 1971 Pontiac GTO “Judge” that sold for $92,500. The other two “interesting” cars were a pair of Buicks. First this 1928 Master Six Opera Coupe that I’ve had my eye on for quite some time at the same dealership that the Vespa came from. It also sold for $22,500. Mmmm, wood-rimmed wheels. Then there was this 1985 Century Convertible. It’s a V6 car – and Buick never built a Century convertible in this bodystyle, so it’s an aftermarket job. Maybe it’s just because I owned a ’92 Century that I was drawn to this thing, but it was also the cheapest car in the sale and it looks like it’s in really good shape. It sold for $1,250. Complete results can be found here. Other interesting vehicles included this 1944 Phanomen-Granit 1500A 4×4 Kfz. 70 personnel car for $72,500. Next up, a 1944 Steyr 1500A/01 4×4 Kfz. command car that was hammered away for $130,000. And the final” thing” (some of these looked like cars built on truck chassis and some of them didn’t have wheels at all… these aren’t typical vehicles) from this sale, an awesome 1940 Horch Type EFm 4×4 cross-country personnel car that sold for $150,000. Complete results can be found here. And, finally, Osenat’s December 9th sale was the latest held in the month. Top sale was a 1957 Mercedes-Benz 190SL Roadster for $117,000. The most interesting vehicle, by a landslide, was our featured 1908 Doriot-Flandrin Type E, but it failed to meet it’s reserve and did not sell. The most interesting car that did sell was this 1929 Chenard & Walcker 1550 Grand Sport Torpedo that brought $108,000. For complete results, click here. This is one of the stars of the auction weekend in Monterey. If it looks familiar, that might because you’ve seen it featured as winning Best in Show at a number of high-class Concours d’ Elegance all over the country, namely Pebble Beach in 2004. Over the past eight years, this car hit the show circuit hard. I saw it in person in 2009 and I can attest that it is truly a magnificent car. Horch was founded in Ehrenfeld, Cologne, Germany in 1899 by August Horch. The company moved to Reichenbach im Vogtland in 1902 and in 1904 relocated again, this time to Zwickau. August Horch was forced out of the company in 1910 and he went across the street and set up Audi. The company that bore his name would continue on without him, being merged into Auto Union in 1932 (coincidentally, Audi was also part of that group and is the sole surviving marque). The Horch 853 (and 853A, as you see here) were introduced alongside other models of varying sizes/configurations in 1937 – but all used the same 120 horsepower 5.0-liter straight-eight engine. The main competition for these cars came from Mercedes-Benz and their lineup up elegant roadsters, namely the 540K. 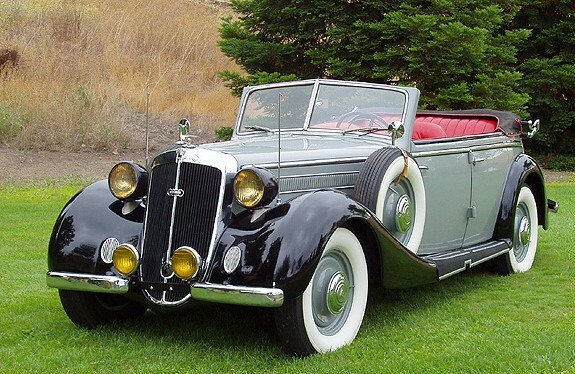 The Mercedes had a variant called the “Special Roadster” and they all look pretty much the same – about 25 were built. Only eight Horch 853A Special Roadsters were built. The first one was bodied by Horch, the next six by Erdmann & Rossi, and the final one by Glaser. They are all different. The first three cars were referred to as “Series One” cars, while the final five are “Series Two.” This is one of three surviving Series Two cars. One note about these cars when new: Horch wouldn’t sell you one until they concluded that you resided in an acceptable realm of society. They picked you to buy one of their cars instead of the other way around (well, you had to want one, I guess. But they almost certainly refused to sell them to certain individuals, although somehow Hermann Göring slipped through their screening process. I guess personality and likability weren’t among their requirements). In any case, this cost “significantly more” than its 540K counterpart. Ownership history is known from the end of the war and the car was restored by RM, being completed sometime prior to being shown in August of 2004. This is one of the nicest pre-war cars around – and one of the most famous. But you better crack open your piggy bank(s) if you want to own it, as the estimate is between $6,000,000-$8,000,000. For the complete lot description, click here. And for more from RM in Monterey, click here. In 1909, August Horch was forced out of the company that bore his name. Instead of pouting about it, he moved across town & set up Audi. In 1932, Horch became part of Auto Union, with DKW, Wanderer, and Audi. Shortly thereafter, Horch introduced a new series available on three different sized wheelbases. There was the 850, 851 and this, the largest, the 853. These were solid cars that rivaled the grand Mercedes-Benz 500K and 540K models. 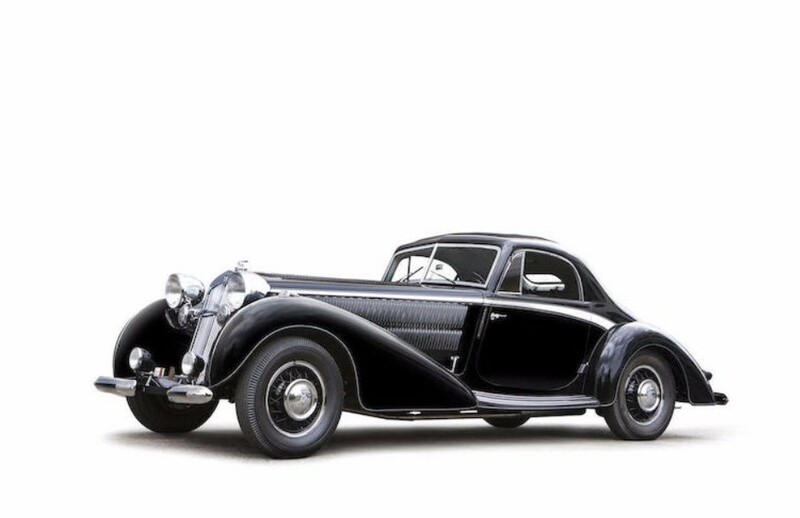 Horch 853s were driven by the top echelon of German citizenry – politicians, industrialists, etc. This car features a 5.0 liter straight 8 engine making 105 horsepower. Performance was acceptable – capable of 80+ mph. But, apparently, this car was carved out of a block of lead – it weighs nearly three tons! While the 853 A is more desirable (120 HP), this 853 is still quite rare and valuable. The coachwork is beautiful and these cars just look unflappably solid. Artcurial is set to auction this at Retromobile in Paris and they estimate it between $410,000-$490,000. Horchs don’t come up for sale very often so here’s your chance to own a brilliant automobile. Find out more about the car here and more about the Retromobile sale here.